I was always interested in social enterprise and had read a lot about it. But I never got the practical experience of actually working in a social enterprise. Then, more than a year ago I was chosen to be part of Balloon Kenya’s first Cohort to go through their programme. The Balloon Kenya experience triggered a different way of thinking and was the start of my social enterprise journey. At university I was still thirsty to learn more about social enterprise and I wanted to work with one. One of my friends at the Social Entrepreneurship society found out about the worlds biggest social enterprise competition, the Hult Prize. We had to create a team of 5 and our team would have to solve the problem of food insecurity in urban slums by creating a social enterprise. And the stakes were big; the winning team would get USD 1m to start their business. There was no way I was going to let this opportunity go. We created a team of 5 and started working on it. 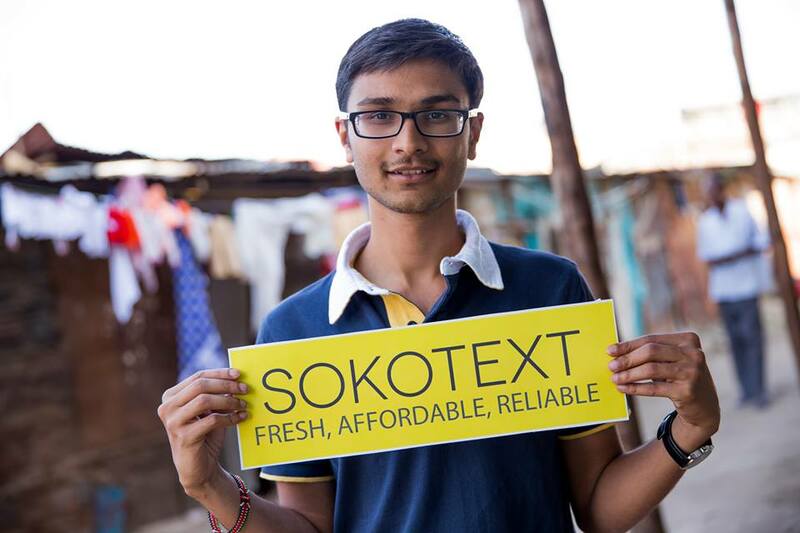 Through some brainstorming and problem analysis we created SokoText; an SMS based aggregation system that would connect slum dwellers directly to farmers. We presented our idea at the Dubai regional s, but we did not win. However, we had faith in our idea, so we applied to the open online competition. Through hard work and good marketing we managed to win the competition. We now had a 1 in 6 chance of winning the USD 1 Million prize. My dreams were coming true; I was actually starting a social enterprise now! This summer we were invited to Boston to be part of the Hult Prize Accelerator so that we can develop our idea. However, we really needed to know more about our market and the problems they faced. So we decided that part of the team should fly to Nairobi immediately and start working from there. In Nairobi we did 3 weeks of market research and we then ran our pilot for 4 weeks using our Minimum Viable Product. On September the 23rd 2013, we presented our idea to over 1000 people at the Clinton Global Initiative. Our judges included people like Muhammad Yunus, Mo Ibrahim and many other NGO and business leaders. Unfortunately, Bill Clinton did not call out our name as the winning team. However, we knew that we tried our best and we knew that SokoText can work and we decided that we would make it work. I am now back in Kenya and about to start the venture. I am looking forward to the journey ahead. After Balloon Kenya, I knew where my passion was; I knew that I wanted to solve problems in my country with the people from my country. This helped me make my decision to decline a job offer at a top accounting firm in the UK. In addition to that, what I learnt about design thinking and my practical experience in performing interviews and other tasks has been very helpful when working on SokoText. I still refer to the curriculum regularly. Balloon Kenya was the first step to my journey in Social Enterprise and guided me to my passion, I am very grateful to Doug and Josh. * Soko Text has since been accepted onto the next cohort of Startup Chile, one of the premier incubator programmes in the world! An amazing achievement!